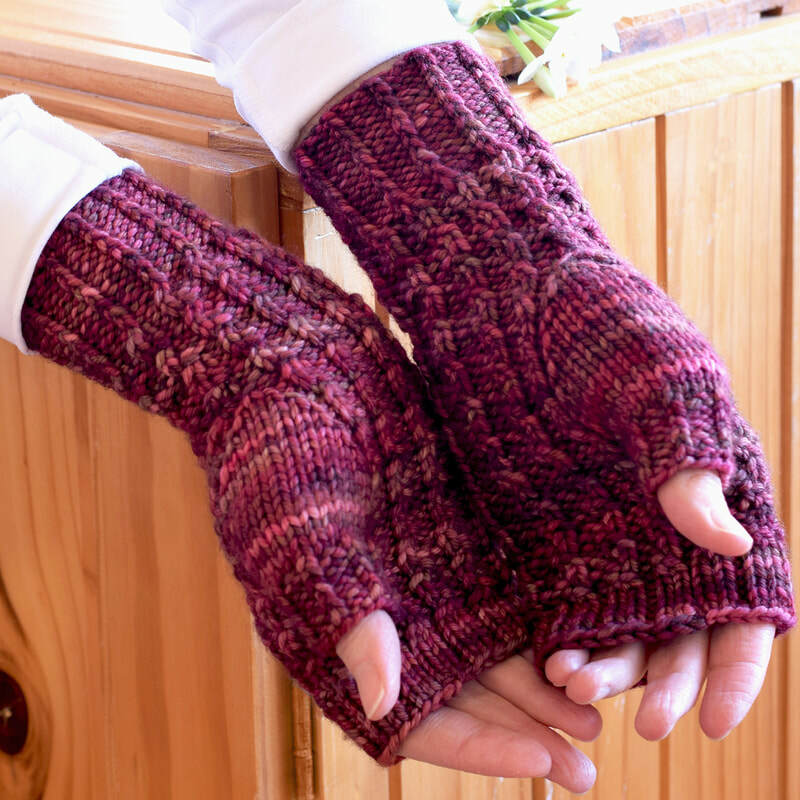 Chilly nights spent in front of a blazing wood fire with its crackled wood and twisted flames inspired these warm fingerless mitts. 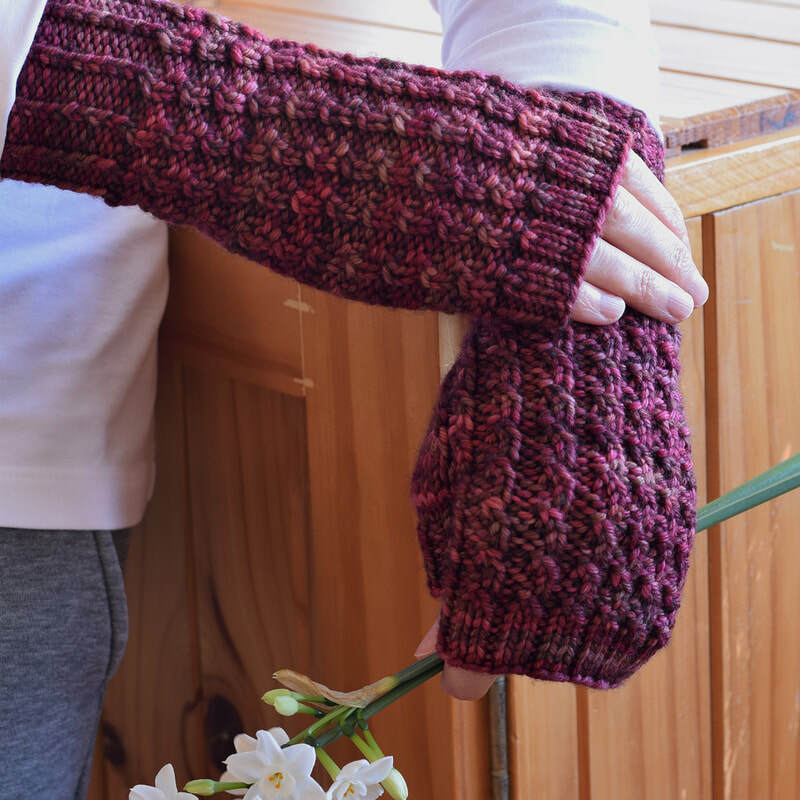 Knit in the round from the wrist down, these mitts begin with a variation of a twisted rib cuff which smoothly transitions into the curved rib textured pattern (that is mirrored on the opposite hand for symmetry) before evolving into the ribbed finger cuff. 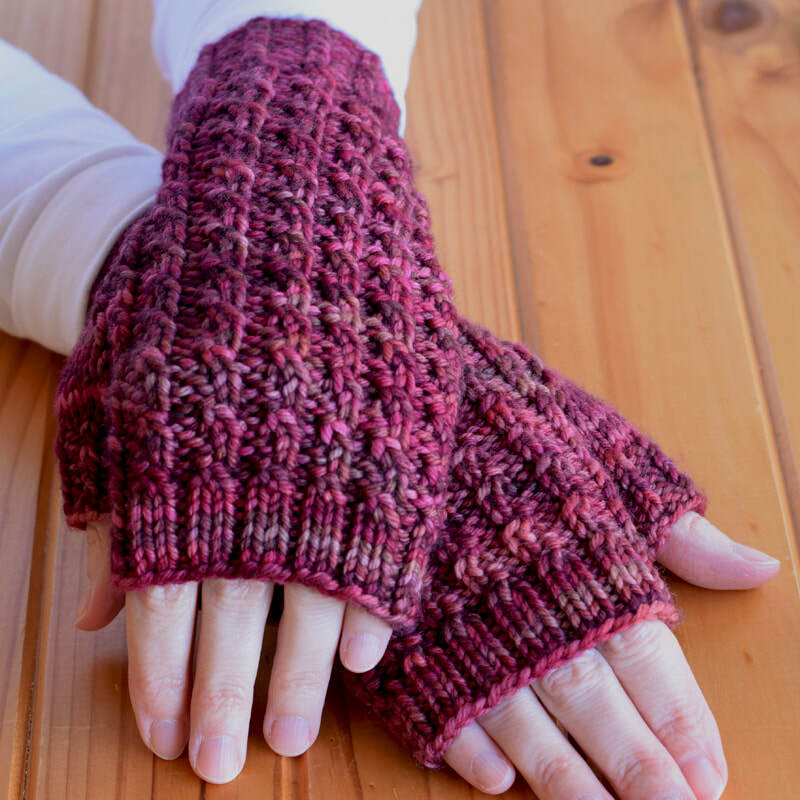 ​Araluen Hat and Araluen Cowl. © 2012 - 2018 Jo-Anne Klim. ​All rights reserved.